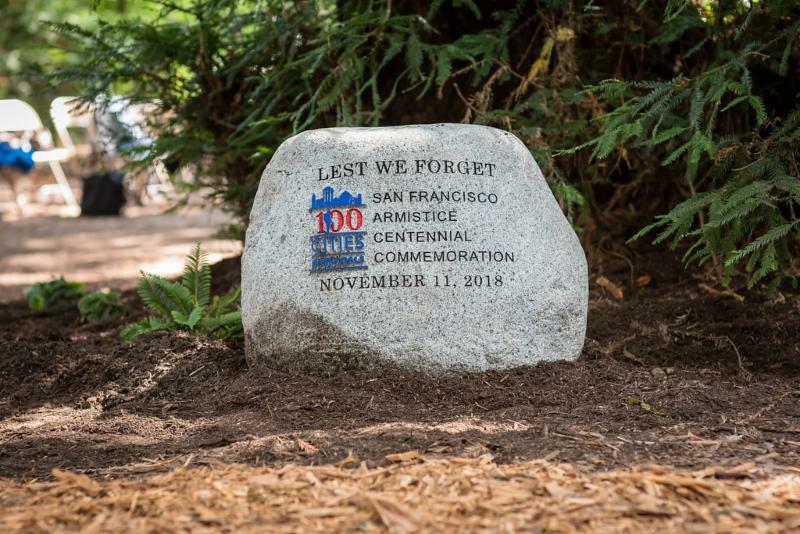 A memorial ceremony commemorating the Centennial of World War I was held on Saturday 25 August 2018 at Golden Gate Park's Heroes Grove in San Francisco. 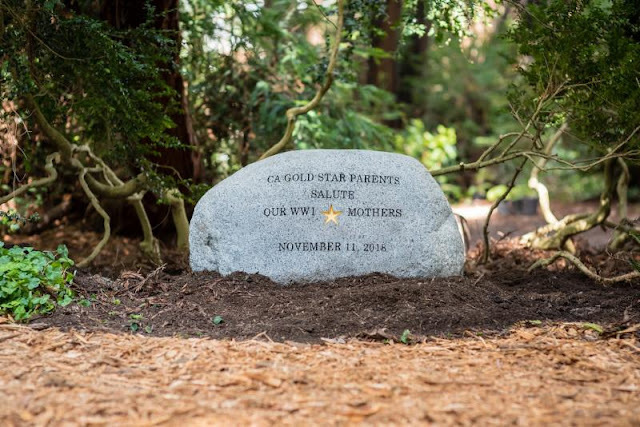 The centerpiece of the grove is the Gold Star Mothers' Rock, which bears an inscription that displays the names of 758 local people who lost their lives during World War I. Two adjacent stones were added at the site to honor the upcoming centennial on 11 November 2018.